This brand-new high-end women see was donated to a fundraiser by a Vancouver jeweler and also is valued at $735.00. I have the invoice. 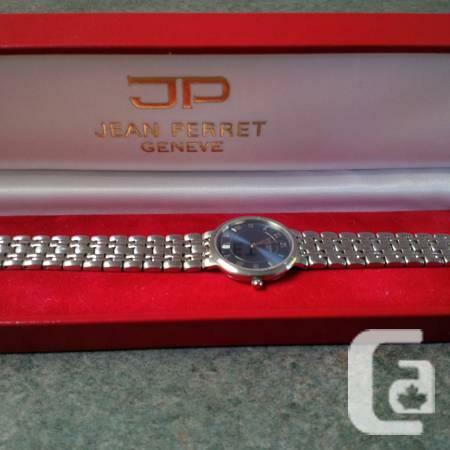 It is: Girl's Jean Perret Wrist Watch. All stainless steel case and bracelet. Round light blue dial with 2nd and also dated hand sweep. Sapphire scrape resistant crystal, Swiss made Quartz motion, water resistant to 30 meters. I won the watch ... so make me a deal!